IQ stands for “intelligence quotient”—a composite score of various tests meant to measure human intelligence. A person’s IQ score is meant to represent their general intellectual faculties and the higher the score, the more generally intelligent a person is considered to be. Historically, the raw median score on intelligence assessment tests has been defined as an IQ score of 100, meaning that, by definition, about 2/3rds of the population has an IQ score that falls between IQ 85-IQ 115. 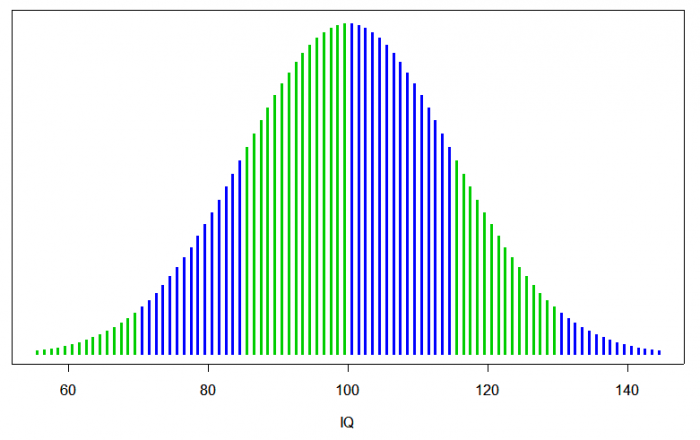 An IQ score of 130+ is considered genius-level while an IQ below 70 is generally identified with having some intellectual or cognitive disability. Unlike properties like mass or electric charge, “intelligence” is a very abstract construct, which makes devising tests to measure it difficult and sometimes inconclusive. 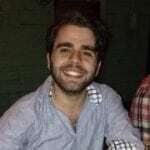 Common knowledge may see a person’s IQ score as measuring a single factor of a person’s psychology; perhaps similar to how in various tabletop RPGs like Dungeons & Dragons a character might have a single intelligence stat. In some ways, this conception is correct. Most intelligence researchers would agree that for each person, there is a general factor of intelligence that underlies most if of their cognitive abilities. However, researchers also realize that intelligence is multi-faceted and that there exist domain specific intelligences that may differ from one’s general intelligence factor. These domain-specific and narrower faculties are also important for assessing a person’s intelligence levels. In addition, researchers realize that there are a whole host of psychological characteristics other than intelligence, such as creativity, personality, and moral character, that are equally important for human functioning and happiness. In fact, most intelligence researchers now see ascribe to a view that sees intelligence as comprising a 3-tiered hierarchy of cognitive abilities. At the top of the hierarchal pyramid is the single intelligence factor g; the most general factor of intelligence that explains the correlations between abilities at the lower levels of the pyramid. The middle level is composed of broader, more general abilities such as general memory, learning, and auditory/visual perception. The bottom tier is composed of more narrow cognitive faculties that fall under the general categories of the middle level, such as spelling ability, or individual word recognition. The term “IQ” was first coined by German psychologist William Stern in 1912, but humans have always been interested in the project of differentiating people based on levels of intelligence. Unfortunately, the first systematic treatments of the concept of intelligence were almost always motivated by a desire to establish racist narratives about the intellectual superiority of the white race. European philosophers and naturalists in the 18th- 19th century believed that different races had “inherently” different levels of intelligence, with white people occupying the top spot in the racial hierarchy and black people and Native Americans positioned at the lowest rungs. So, a large part of the development of IQ tests over time has subsequently been focused on creating more fair and unbiased tests. The first homogenous and standardized tests meant to measure intelligence were produced in the early 20th century including the Stanford-Binet Intelligence Scales, developed by American psychologist Lewis Terman, which became the most used test in the U.S. for decades. Intelligence tests were also widely administered in the U.S. military during WWI to sort candidates for officer training. Almost 2 million individuals were screened, making it the first usage of intelligence tests on a large-scale. IQ tests became popular in society as a means of educational placement, assessing intellectual disability, and employment screening. In addition, researchers indicate that over the 20th century, the raw IQ scores of the population have been increasing at a rate of about 3 points per decade, a phenomenon known as the Flynn effect. 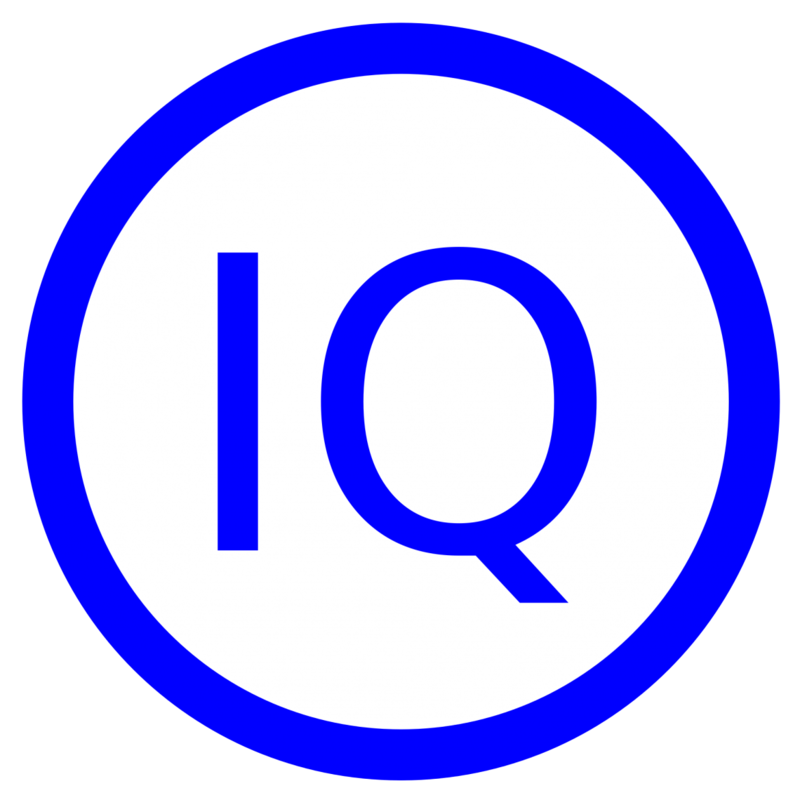 Currently, the most popularly used I.Q, test in the United States for adults over 16 is the Wechsler Adult Intelligence Scale (WAIS), originally published in 1955 and updated to its fourth edition in 2008. According to its creator David Wechsler, the test is meant to measure an individual’s intelligence where “intelligence” is defined as “… the global capacity of a person to act purposefully, to think rationally, and to deal effectively with his environment.”(Wechsler 1939, p. 23). Primary to the conceptual foundations of the test is that intelligence is composed out of a number of distinct but inter-dependent capacities that can each be individually measured and assessed. The WAIS-IV consists of 10 main tests and 5 additional subtests. From these 15 assessments are derived 4 index scores that correspond to 4 main categories: verbal comprehension, perceptual reasoning, working memory, and processing speed. These 4 index scores are then compiled to get a single numerical score, corresponding to a person’s IQ score. The test also gives the taker a percentile score, representing the percentage of test takers who scored similarly. Questions in the verbal comprehension section include judging similarities between the meaning of words, identifying the definition and proper usage of vocabulary, and testing one’s levels of general knowledge. These assessments are meant to measure one’s verbal reasoning skills, language development and use, information retrieval from long-term memory, and intellectual curiosity. The perceptual reasoning index is meant to measure one’s ability to derive knowledge from visual and perceptual information. 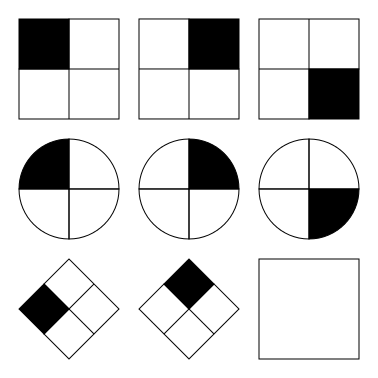 Questions in the perceptual reasoning test one’s ability to visualize objects in three dimensions and geometric reasoning skills. They are also meant to measure one’s capacity to recognize patterns and organization. The working memory index is focused on identifying one’s ability to hold a representation in immediate memory and perform mental manipulations on that representation. In other words, one can see working memory as analogous to RAM in a computer; the ability of a person to perform a number of cognitive manipulations at once. This section includes a person’s general arithmetic skills and ability to recall information from short-term memory. The processing speed index primarily indicates how quickly a person responds to and integrates information into their behavior. As the name would imply, a measure of processing speed can be seen as analogous to the power of a computer processor. Essentially, this index measure how fast a person’s mind works. Questions in this section involve identifying visual stimuli quickly and recording one’s ability to identify and compare symbols. 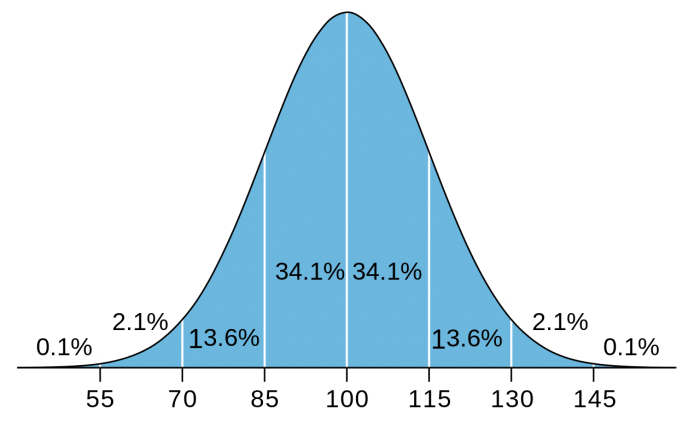 As with most IQ tests, the WAIS-IV defines an average median score of IQ 100. Any score between 90-109 is considered average intelligence, with a score of 90-105 falling within the 25th-73rd percentile range of test takers. A genius level score on the WAIS is 130+, with only 2 percent of test takers receiving such a score. The WAIS-IV has been found to be very reliable psychometric evaluation and its measured IQ levels are found to correlate with a number of social variables, such as income, education level, and reported life satisfaction. IQ scores have even been shown to correlate with certain aspects of physical health. Of course, this does not mean that IQ is the only variable that determines the quality of one’s life, but it is important in many respects. Also, the reported benefits of a high IQ show diminishing return, indicating that after a certain point, more IQ does not help much in regards to general life quality. It is also important to realize that IQ tests only measure some parts of a person’s psychology. They are not meant to provide an exhaustive account of a person’s abilities or competencies. Some researchers propose that things such as social awareness, empathy, physical attunement, and life experience constitute distinct intelligences that the WAIS-IV does not measure and that the WAIS-IV should be updated to reflect these categories. Despite these criticisms, IQ tests are generally viewed in the psychological community as a reliable criteria for judging an individual’s intelligence.